Since my post on photography displays, I have been going through more photos. Besides these great ones of my parents, I have discovered beautiful black and white photos of all the children at the beach. They are all very natural looking, sand, ocean, sunshine and little ones running around without a care in the world..the way life is meant to be! I am going to blow up one picture of each of the children, in poster size, float them in frames, and hang them going up the front stairs. 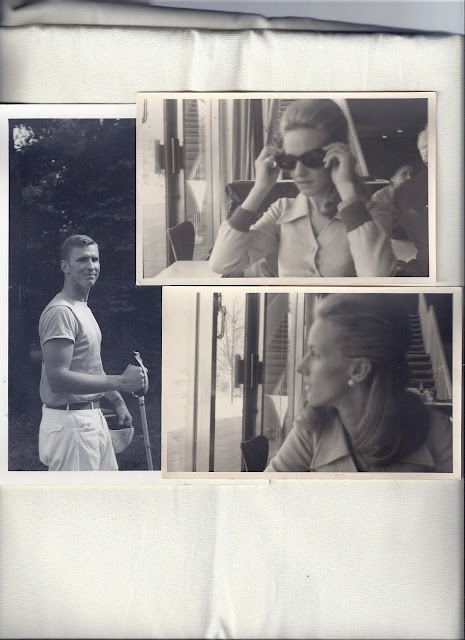 I was inspired years ago by the Domino Magazine photo below my parent's picture. I think it's time to make art!